Facelift brings updated exterior and interior and more safety equipment. 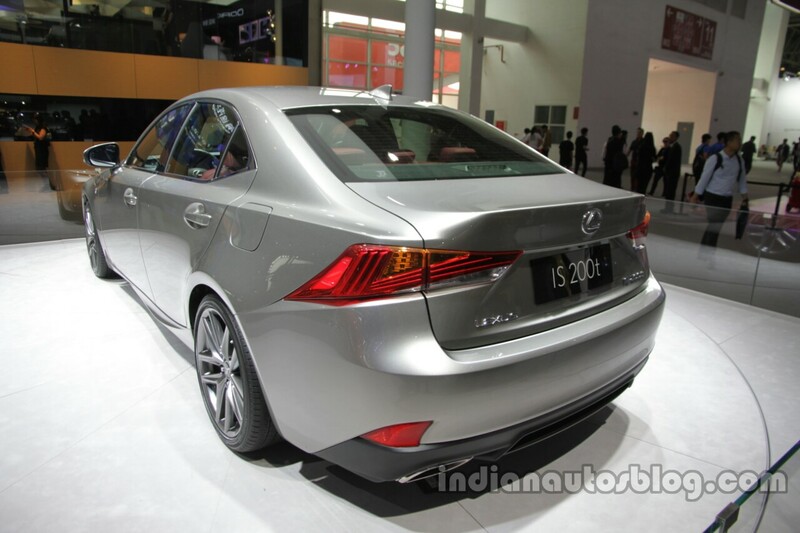 The Lexus IS has been introduced in a facelifted avatar at Auto China 2016 (2016 Beijing Motor Show). The facelifted IS features new headlamps, updated spindle grille, large air intakes in the front bumper, new 10-spoke, 17-inch wheels with bright machine finishes, more pronounced, triple layered "L"-shaped LED lights in the taillamps and new rectangular chrome exhaust tips. Two new colours - Deep Blue Mica and Graphite Black Glass Flake – have been added to the available colour choices. Inside, the facelifted Lexus IS features a new 10.3-inch display for the infotainment system, an appreciable upgrade from the previous 7-inch display. Other changes include new stitching on the top of the instrument cluster hood, new cupholders, a new larger leather-wrapped palm rest with stitching for the Remote Touch Interface and new markings on the dashboard integrated analogue clock. Nuance Black and Noble Brown shades have been added to the interior colour mix, while the Moonstone and Ivory have been replaced by Ivory. The safety equipment has been upgraded with Lexus Safety System+ which includes Automatic High Beam (AHB), Pre-Collision System, Lane Departure Alert (LDA) with Steering Assist and Radar Cruise Control. 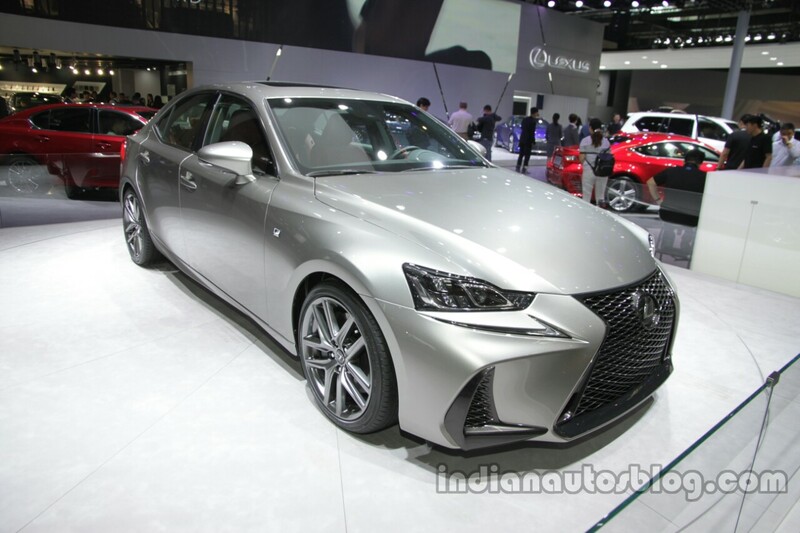 The facelifted Lexus IS 200t continues being powered by the 2.0-litre twin-scroll turbocharged four-cylinder engine that produces 185 kW (248 hp) and 350 Nm of torque. Power is sent to the wheels via an 8-speed automatic transmission.